Each come in unique colors and shapes. They can grow up to 0.3 inches -- about the size of a pencil eraser. Males do a cool mating dance to attract females by raising their bums just like a peacock. 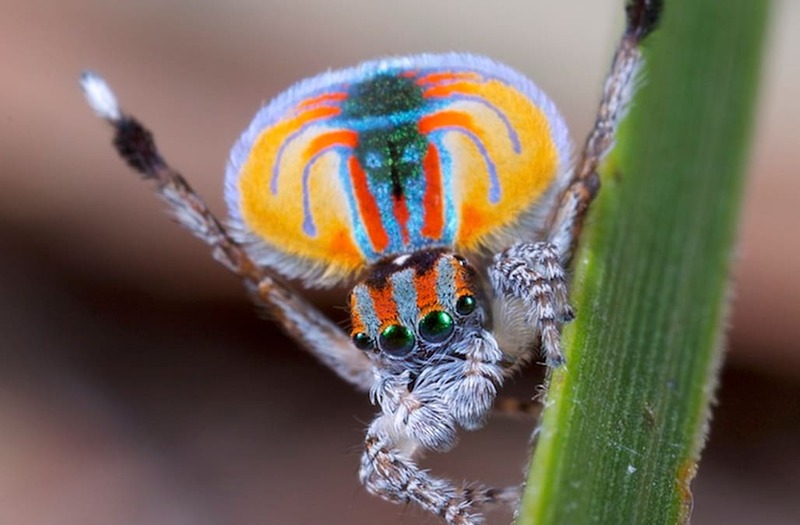 But courtship is risky business for the males, female peacock spiders will not hesitate to eat their suitors. Here's the thing -- they only seem to eat the bad dancers.